When time is short and you still want a healthy breakfast, I’ve found that there isn’t any better way to go than a smoothie. And recently I’ve taken a liking to a particular smoothie, a green tea smoothie for weight loss since I’m trying to lose some extra weight. 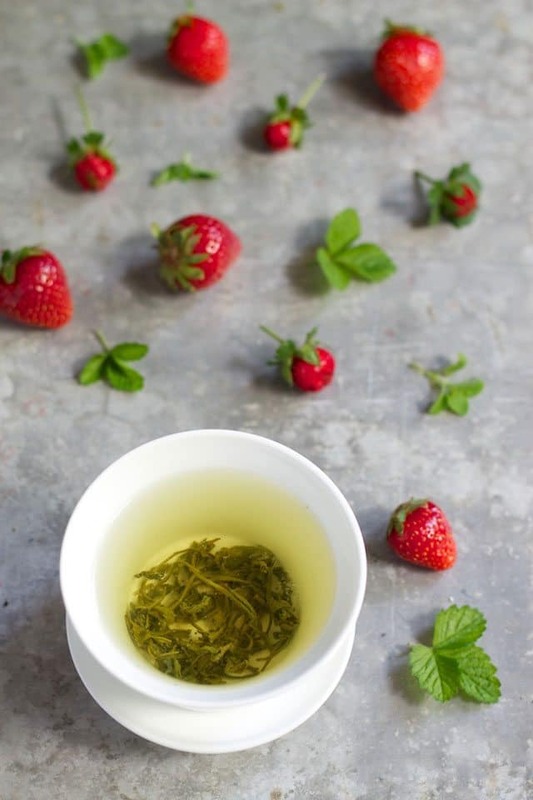 There’s a reason green tea works so well when it comes to weight loss, it contains EGCG that has found its way into weight loss pills and powders. Getting it from a natural source like green tea is a much better way to go, in my opinion at least. 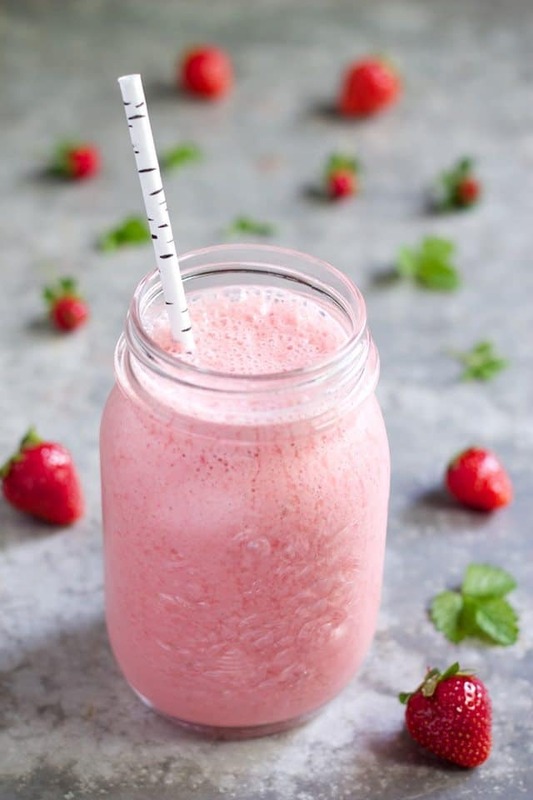 And when you combine it into a smoothie along with strawberries, you don’t have to worry about having to sip a cup of hot tea if it’s a warm summer’s day. The antioxidants in green tea are known as catechins, and they help you lose weight by boosting your metabolism. 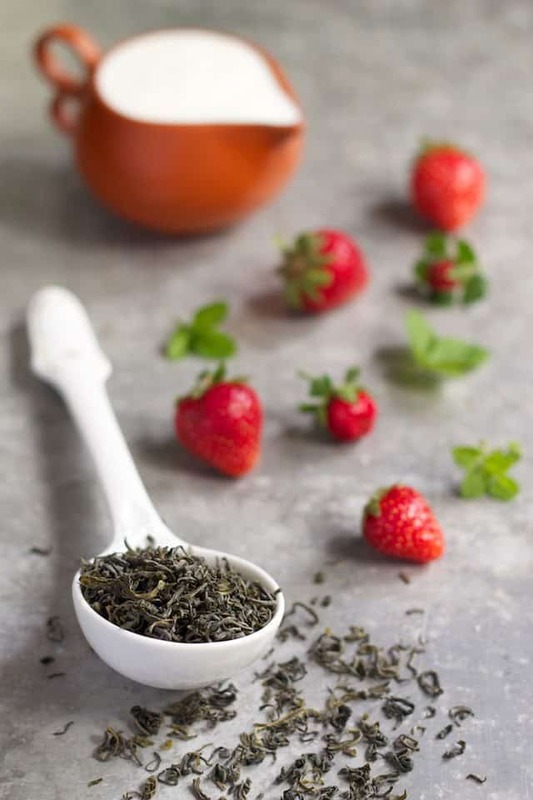 Aside from its weight loss features, the antioxidants in green tea help the body in a number of ways, including cancer and heart disease prevention, and green tea consistently makes health news for its beneficial connection to all sorts of diseases and conditions. Green tea serves another important function for those of us that are trying to survive without coffee. It provides the crutch needed in the form of a natural caffeine source, giving this smoothie a bit of a buzz that normal fruit smoothies don’t have. 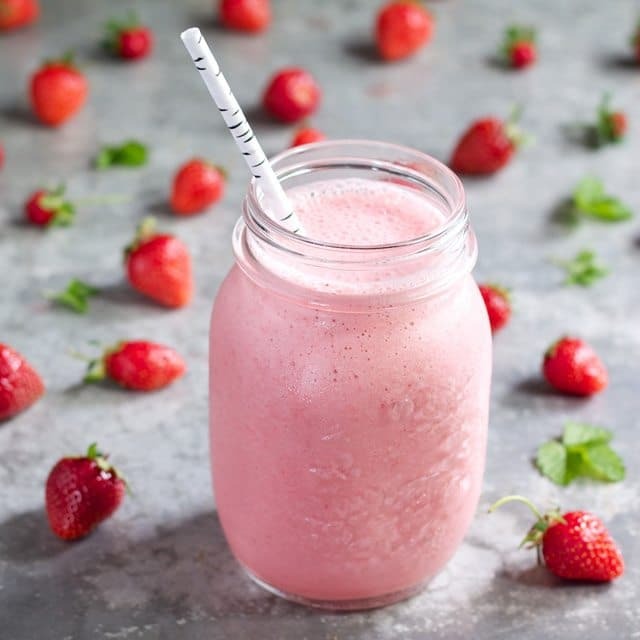 This smoothie provides a good balance of protein from the Greek yogurt, and carbs from the strawberries and banana, with healthy fat from the flax seed to leave you feeling satisfied till lunch, maybe needing a snack if you’re used to a bigger breakfast. You can’t go wrong with the classic taste of strawberries and bananas, and each provides important nutrients like Vitamin C from the strawberries and potassium and fiber from the banana. If you’re also strength training you may want to supplement this by eating a few eggs along with it, or having a serving of low-fat cottage cheese for added protein, or you could add in some protein powder as well. It’s easy to get carried away with your smoothie and add so much to it that you’ve tipped the scales back toward being a weight gain smoothie instead of a weight loss smoothie. 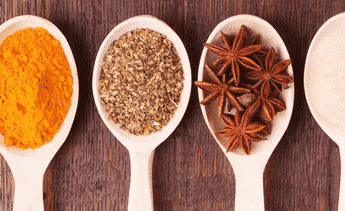 The beauty of this recipe is that it keeps things simple, but also delicious so you can focus on the few ingredients it has and not worry about it doing damage to your waistline. As instructed this recipe will give you two servings, and if you’re trying to lose weight you may want to drink one serving in the morning, and use the other serving as a snack later in the day. If you’re like me your mornings are that sacred time when you somehow manage to make it out the door without really fully opening both eyes at the same time. Breakfast can be a big of a comedy bit when it gets too complicated, which is why I like the ease and simplicity of a smoothie. I’ve tried both taking my time and being very exact with a smoothie, and whipping it together breaking land speed records and the funny thing is it ended up tasting the same both ways. With this smoothie you’ve got everything in the blender in under five minutes and so it’s just a speed bump on your way out the door. If you don’t have strawberries you can sub in blueberries or raspberries. The banana is kind of essential since it helps with the creaminess along with the yogurt. Place all the ingredients in a blender and blend until smooth. Pour into a glass and serve immediately. I’m going to try this out! Thanks. This is delicious ! !I used the recipe without the flax seed because I couldn’t find it, but soo delicious and filling too. I made this today!!! It was delicious! plan to have it again tomorrow. I can’t find the recipe for this smoothie anywhere on the page?